as the (almost) same topic Best designers and some statistic data. Last time I showed you the absolute numbers of followers and watch faces amount. Today, I would like to present you another point of view according to the increased follower number and how the watch face collection of leading designers is growing. And here is the diagram with the actual followers growth rate. 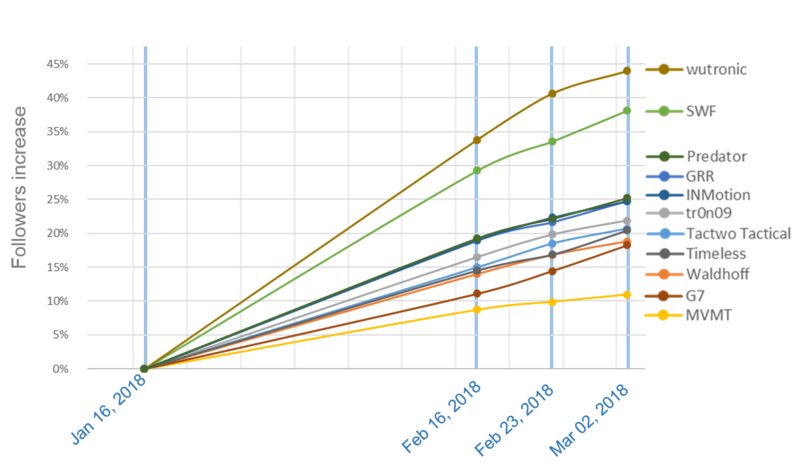 The highest increase since January 16, 2018 reached "wutronic" followed by "SWF". 25% growth of followers in the last 90 days reached "Predator", "@GRR" and "INMotion". 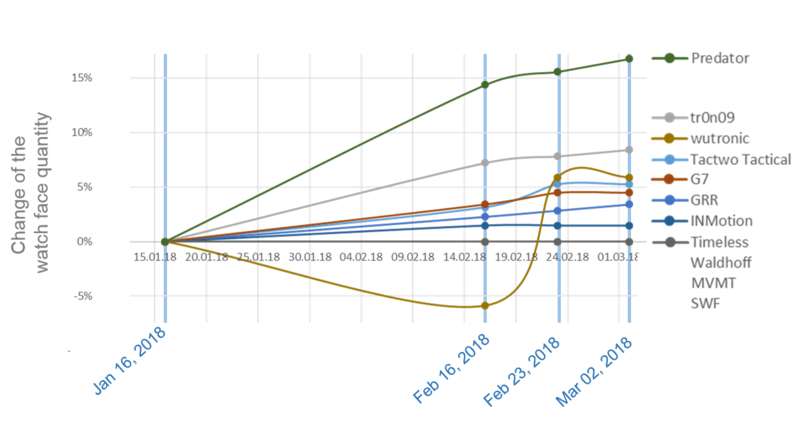 "tr0n09" (@eradicator09), "TactTwo Tactical" (@TAC2TAC), "Timeless Watch Faces", "Waldhoff" as well "G7" could gain 20% more followers in comparisson to the starting point (Jan, 16, 2018). Let`s have a look to the quantity of watch faces and their growth rate in the last weeks. The absolute number of watch faces at TOP 10 Designers vary extremely (between 3 and 489), therefore I will show you the relative increase (decrease) according to the designer (house). Beside this general statistic date about the best Facer Designers I am publishing also a kind of "personal data statistic" about my own TOMAJA Design collection - My TOP 10 Watch Face Disasters. Both with interesting tips in the discussion from e.g. @roycaruso, @pacingpoet & @hayden. 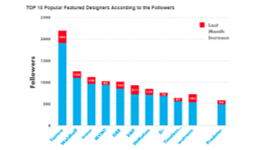 I am observing the statistic date only at so called "Featured Designers"
I've seen quite a few users that have large followings. Many seem to fit the "clone" market. One in particular is near 3000 followers with over 300 faces (mostly TAG, Breitling, and Rolex clones). Once again @Tomas , some fantastic info here. Thank you so much for the insight. As @eradicator09 says, creating copyright infringing faces seems to yield a lot of followers too (until you get busted, of course ). Glad to see people with original designs gaining so much traction.